Definitely glad someone shared to me this book by Bo Sanchez . The humor and truthfulness of this book made me hungry of what the next concept entails. Novels made me fall in love, cry and nervous. This book made me laugh out loud like crazy yet it gave me so much wisdom on how to find a good mate. Reading this book made me realize so many things, about myself, my preferences and what I ought to be. Not that I didn’t know how to be me, it just made me realize how essential it is to be your best self. It is a funny, direct and short that it would not require a bookworm to finish this book. The words Bo used in this book are simple and understandable. It is good for singles for all ages, either ready for a new relationship or not yet. 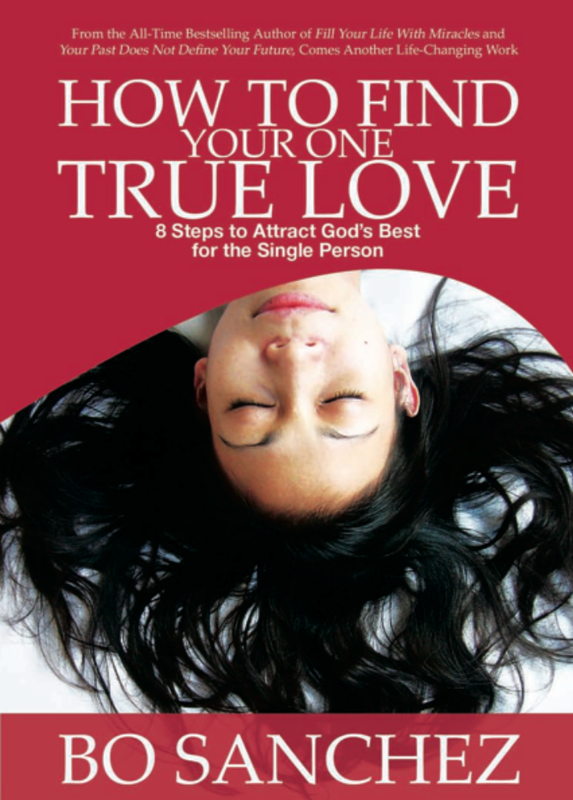 This is also good for couples in romantic relationships who are open-minded. People who are lost in the trance of magic love spells might not be able to grasp the idea behind this book. Married individuals might also find this useful. Especially those individuals those strive to improve their relationships and selves. As simple as the concepts presented in this book may have seemed, it is not that easy to follow it as well. It takes a lot of adjustment, like being attractive when you are not just used of dressing up or wearing make up or perhaps going out on dates or talking to new people. It is always easier to know than to do. Anyway, anything worthwhile is never easy. We are talking about Finding One True Love. I quote some of my favorite lines from this book.